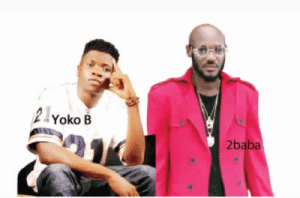 2baba has been accused of stealing his most recent record titled Amaka, by an up-and-coming artiste named Analike Okezie aka Yoko B). 2baba released the said song towards the tail end of last month, June 2018 and he featured DMW singer, Peruzzi on it. The song is about a certain Amaka who disappointed him after promising him that she would come to his house and caused him to make plans, only for the girl to fail to turn up.